Which is more dangerous? Sharing too much too soon? Or not sharing enough? Either can kill a developing relationship. The trick is finding balance. I’ve known people at both extremes. I think of one friend in particular. We knew each other for nearly a year before I learned he actually enjoyed my company. He even considered me a close friend! He was just very reserved about sharing his inner thoughts. I’ve also known people who tell their whole life story, including wildly intimate details, in the first conversation. Or on a first date. That creates a different kind of awkwardness. So, what’s the right timing? How do you open yourself up to your man so that he feels closer to you? First, what’s safe to share depends on what he can identify with. This is doubly true early on in the relationship. Of course, everyone has wounds. More than that. You have secret hopes, dreams, desires, and fears. So does he. One of the special things about a romantic connection is that it’s a safe place to share all that stuff. Just make sure you wait until it’s actually safe. If he hasn’t been vulnerable with you yet, take a deep breath. There’s no rush. Intimate sharing almost always happens organically. As he opens up to you, match his level of vulnerability. And yes, it’s okay for you to be the first to share. 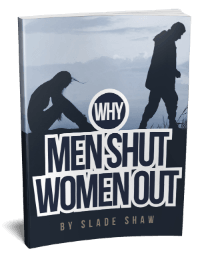 Some men don’t like sharing their feelings and may need you to lead the way a bit here. Just remember that leading means walking with him, not racing way ahead of him. Second, there are things you can do to set the stage. Instead, intimate sharing happens when we really connect. So, do what you can to facilitate moments of deeper connection. Take advantage of times when you’re together, especially when you have some privacy. Times like dinner at a quiet restaurant, walks, and even road trips. When the two of you are alone, talk to him about things that matter—both to you and to him. Show him you’re interested in hearing his honest thoughts and feelings, and he’ll naturally open up more. Nothing is quite like the feeling of being really close to someone. As you seek that kind of connection, don’t make the mistake of sharing too much or too little. Set the pace for sharing based on how your partner reciprocates. 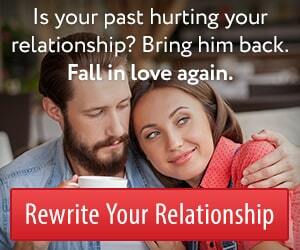 Based on how he responds to your initial efforts to reveal a little more of your inner world. Don’t plunge in before he’s ready. Instead, test the waters from time to time. And remember to set the stage for authentic conversation as often as possible. That’s the recipe. Good ingredients. Time and patience. And frequent small adjustments. This entry was posted in Dating, Relationships and tagged connecting, intimacy by James Bauer. Bookmark the permalink. I really want to buy this book but have had no luck here in South Africa. Sorry about that, Linda. The credit card processors we work with have not extended their services to South Africa yet. So what to do if he’s secretive, can’t be vulnerable and you’ve shared too much/but you really think, if his secrets aren’t too scary, you are in love with him? Well, if you’re in love with him, then it’s worth waiting to see what happens next. The more secretive a man is, the less open he will be to prodding for him to reveal the world he strives to protect through secrecy. But there’s nothing wrong with processing the secretiveness itself. For example, you can comment on your observation that he is secretive. Ask him if he notices it and if he does it on purpose. Ask him what it means to him and why it’s important. But don’t ask him what the actual secrets are. Going to the “process level” with him will increase his feelings of security with you. It will also get him to examine why he is secretive and potentially open his mind to considering whether it’s really necessary. I appreciate the article. I have been too quick to divulge certain things about my life instead of pacing his and my own openess. I have been told I am an open book. Reciprocation is fuel. Unequivocal communication is key. Take things slowly and love will ensue.